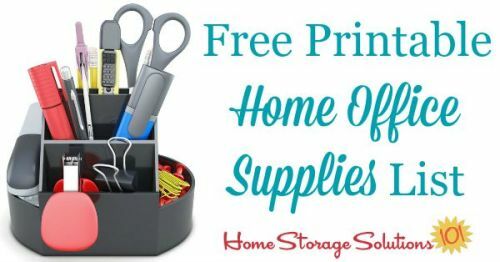 Here's a free printable home office supplies list you can use to make sure you've properly stocked your home office and have all the essential supplies available when you need them. 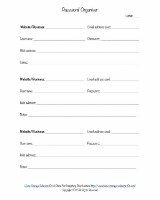 I've created this free printable (which you can get by scrolling down to the bottom of the page) to use when working on the Home Office Organization Challenge here on the site, which is part of the 52 Week Organized Home Challenge. 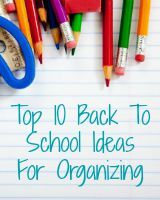 It is also helpful when, for example, you're going back to school supplies shopping, because many of these items will also be on sale during this time period, so it is a perfect time to stock up. 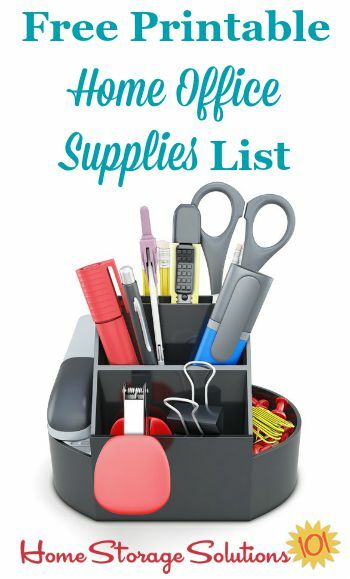 However, I want you to understand, speaking as a lover of all things office supply myself, that "stock up" does not mean hoarde. 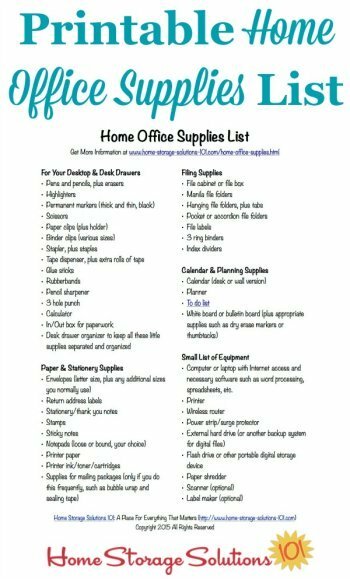 After all, there are too many of certain items, which is what we discussed in greater detail in the declutter home office supplies mission, which is part of the Declutter 365 daily missions. 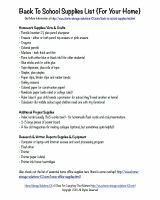 I have not specifically listed quantities of these items below in the list, but I suggest not stocking more than you can use during an approximately year period. They do, after all, have sales on this stuff every single year, so no need to buy them out of the store all at once!